A beautiful life of 63 years has ended. Our beloved wife, sister in law, aunt and friend, Pamela Denton "Pam" Walker departed this life Saturday morning October 13, 2018 at her residence in the Pine Grove Community. Funeral Services cherishing the life of Pam will be at 2 PM Tuesday October 16 in The Heritage Chapel of Ripley Funeral Home with her pastor and friend, Bro. Doc Shelton officiating. Burial will be in the Pine Grove Cemetery near Dumas. Pam was born June 28, 1955 in Memphis, TN and was the daughter of the late Tracy and Helen Humphrey Denton. She was a 1973 graduate of Blue Mountain High School where she was a member of the Beta Club. Pam was married on October 13, 1978 to her beloved husband of 40 years, Jimmy H. Walker who survives. In earlier years, Pam worked at her family owned City Cafe in Blue Mountain. 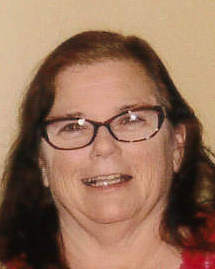 She was also employed with the Foot Caress Corporation and later was a valued staff member of the South Tippah School District where she served as a bus monitor and worked with Pre-K until her retirement for health reasons. A member of Paynes Chapel United Methodist Church, Pam was a true Christian and prayer warrior. She was faithful to her family, her church, her friends and to the everyday care and needs of her son, Chris before his death in 2000. Pam will be remembered for her sweet spirit and for the joy and laughter she shared with those whose lives she touched. Through her trials on earth, she maintained a peace beyond all understanding and because of Pam the world is a better place. Visitation will continueTuesday until service time at The Ripley Funeral Home. In addition to her husband, those left to treasure her memory include her sisters and brothers in law, Lisa and Phillip Miller, Billy and Wanda Walker all of Pine Grove, numerous nieces and nephews,a special cousin, Annie Ruth McGahee, her loyal pet canine, Jiggers and a host of friends. Pam was also preceded in death by her children, Tracey Renae Rowell and Christopher Walker, two sisters, Patricia Womack and Martha Gregory, a brother, Lee Denton, her father and mother in law, Kenneth and Geneva Pannell Walker and a brother in law, David Walker. The family request memorials be directed to Paynes Chapel United Methodist Church, 4521 cr 611, Ripley, MS 38663. The Ripley Funeral Home is honored to serve the Walker family and invites you to share memories.